Remember when you wouldn’t eat your dinner as a kid and your parents would serve it to you for breakfast or lunch until it was gone? Okay even if you can’t relate, you can imagine a kid’s disappointment in having to see the same thing day after day until they reluctantly eat it. Buyers may be feeling the same way this month as existing inventory has gotten stale and very little new inventory has been added in the first weeks of December. It’s down a whopping 26% from last December with nearly every price range under $1.SM participating in the de­ cline. This reluctance to list in December has offset the 16% decline in listings under contract and the market has managed to maintain a seller market, albeit a weaker one. In the mean­ time, existing sellers are dressing up their leftovers with incentives. 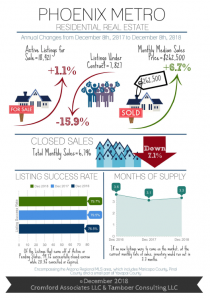 Seller-assisted closing costs have risen on sales between $175K-$300K and price reductions were up 25% in the first week of December compared to last year. Seasonally, this is the calm before the storm in terms of buyer activity. Every year, listings un­ der contract drop sharply in the latter half of December before reaching their lowest point on January 1st. Conversely, between January and April buyer contract activity will sharply accel­ erate. How much it will increase this year remains to be seen depending on interest rates and other lending factors. The past 3 years has seen contracts rise roughly between 70-90% in the first 4 months. Despite this expectation, sellers need to be prepared to compete more in 2019 than they had to this year. 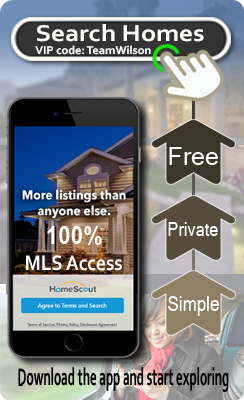 The first 4 months are also typically strong for new listings to enter the market. Even though 2019 looks like it will start off with a seller’s advantage, it will be much weaker than last year. The market appears to be resisting higher prices for homes that don’t live up to buyers’ expectation of value for their money.